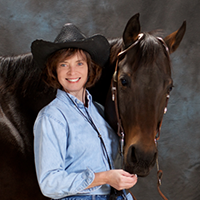 Jennifer is the creator of the DVD series, “Improve Your Riding Through Movement, The Pelvis and The Upper Body.” as well as the author of the children’s horse book, “My Best Friend Betsy.” Please go to the Jennifer Kotylo STORE for details and purchasing information. 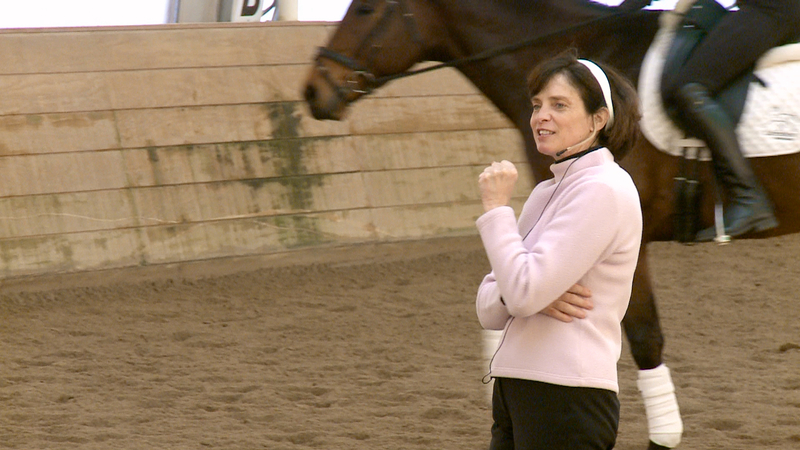 Jennifer regularly lectures on how movement can improve your life, teaches dressage riding, and judges schooling shows. She is also the author of “The Everything Thai Cookbook.” In her free time she rides her horse Nimo and travels to the ends of the earth. 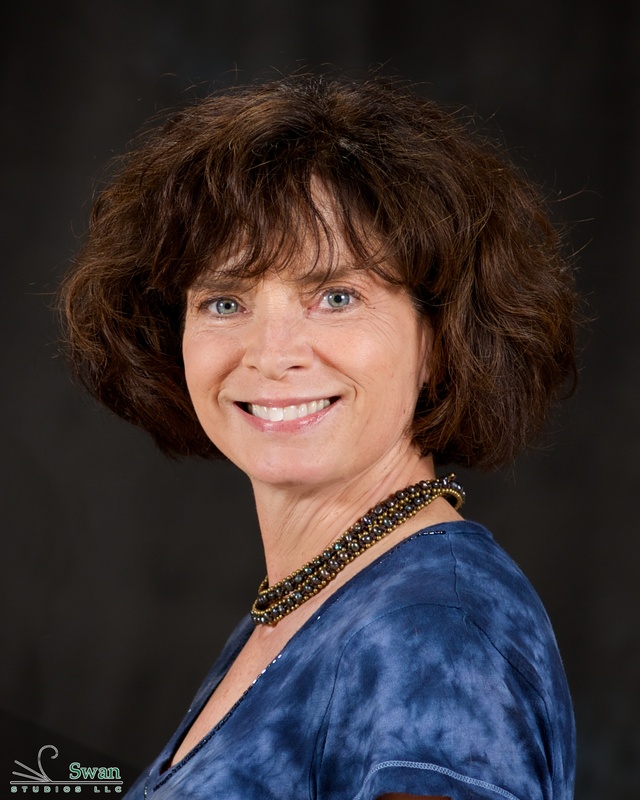 She has an MBA in finance and strategic planning from Indiana University and a BA in economics from the College of Wooster. Jennifer Kotylo — An Introduction from Jennifer Kotylo on Vimeo. 1. 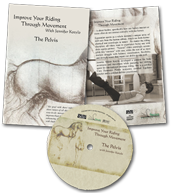 What inspired the Improve Your Riding Through Movement series of 3 DVDs? Bonnie, for as long as I can remember I wanted to ride horses. And for as long as I can remember I have been the world’s worst athlete. So much so, that my first ballet teacher told my Mom not her not to waste her money. I couldn’t run, throw a ball, catch a ball – you know the type, the one always picked last for any team. But yet, all I even wanted to do was ride. I rode through High School (not so well), stopped while I went to college and graduate school and as I began my career. But I was missing horses. So I picked it up again. And then I saw a photo of myself. It was the one you see in all of the equitation books on a really crooked rider. It was scary awful. I finally realized despite my efforts, my time, my sweat and my will, my body was interfering with what I wanted to do. That realization sent me down a path that eventually let me to Pilates. And it was Pilates that gave me the body that I never had – one that worked. And I realized that if Pilates could help my body, my very unathletic body, that it could help anybody. So I dedicated myself to becoming certified in Pilates, which was the beginning of this whole crazy journey into exploring any and everything I could to find ways to help others like me do what they love to do. Ride better. 2. Can you explain the difference between each of the dvds? My DVD series is called “Improve Your Riding Through Movement.” These DVDs are designed to give equestrians of every discipline and every skill level simple easy-to-do movements that are guaranteed to make their riding more fluid and pain free. The first DVD’s focus is the pelvis – where rubber meets the road - or better said – where your buns meet the saddle. If your pelvis isn’t working properly you will not be able to ride effectively and efficiently - period. This DVD gives the viewer movements that help improve mobility in the hips and sacro-lumbar joint key to a balanced the pelvis. The second DVD tackles the Upper Body. Since most of us spend copious amounts of time driving and sitting behind desks tapping away at computers, we tend to have a hunched over posture that becomes our “normal” – something that contradicts good riding. This second disk helps riders discover ways to open up their chests up and bring their shoulders down and back without become stiff and restricted. The third disk is about how we learn to become independent with our aids and maintain our posture despite the energy produced by our horses. Without a strong core, neither of these endeavors are possible. So the core is the focus on the last disk. 3. Are the DVDs only for Olympic athletes or could someone like me benefit from them as well? I created this series of DVDs to be helpful for anyone whether they are backyard riders or Olympic hopefuls. Most of us have so little time between work and family, we are thrilled just to find the time to go out and see our horses. So when someone suggests that to ride better they need to find time to go to the gym and work out, most people just groan and think – I just don’t have the time or the desire. These DVDs are meant to help you ride better by improving your mobility with a minimum amount of time or effort. You can do the movements while lying in front of the TV watching the evening news or listening to music. You can do them just after you get up, right before you go to bed, any time you have 5 or 10 minutes. You don’t need any special equipment, clothing or a lot of time, yet they are extremely effective. If you feel like it, then up the ante and work out a bit more. Just follow your body and desire. 4. Would the movements you share in the DVDs help people in other areas of their life, beyond riding horses? These DVDs were designed to help everyone move with less pain and with more fluidity, frankly whether you are a rider or not. No matter what you do in life – chase children around all day, strive to make it to Wimbledon, or sit behind a desk - you use your pelvis, upper body and core muscles – all day, every day. And everyone wants their bodies to last a long lifetime without pain and with mobility. And there is no reason not to have this. These DVDs will help you have the body that you do have within you. The body you had when you were a child. 5. How can people get a hold of your DVDs? You can go to my website, www.jenniferkotylo.com or you can visit Amazon. I've worked with Jennifer as a studio owner and Pilates student for over 6 years, and have experienced the benefits of her workouts first hand. Her knowledge of Pilates, the human body and how movement impacts athletes is unparalleled to none. As an avid cyclist, swimmer and triathlete, Jennifer's workouts keep my body strong, balanced and injury-free. Her ability to structure workouts that are both challenging and restorative keep her clients motivated and coming back for more. If you are recovering from an injury, experiencing muscular-skeletal imbalances or discomfort, or are simply looking to enhance your performance in the sporting activities you love, Jennifer is an excellent trainer that can assist you achieving your goals. Jennifer Kotylo is a member of the “Balimo Instructor Training Program”. I know her since years as very interested rider and instructor for new developments concerning movement theories. She comes from the Pilates background and was from this point of view very open minded for my holistic approach. She is a sensitive rider with high quality of body awareness. As an instructor she is able to integrate herself into the problems the riders have. She is always in a dialog with them and the horses. 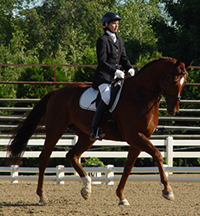 She is able to integrate the movement theory of the rider into the system of riding principles. I have seen my long time clinic student Jennifer Kotylo bring her horse Nimo from a rambunctious 5-year-old through to the FEI level with honesty in her training, patience and a true dedication to the welfare of her horse. She is organized beyond compare, setting up clinics single-handedly, always with a smile on her face, sincerely welcoming each and every one who participates or audits with a firm belief in learning at the highest level. Jennifer is always there for you. Jennifer has a quest for knowledge that is on-going. She has sat by my side throughout hours of clinic rides honing her eye, asking detailed and pertinent questions all in an effort to be able to better see what was going on between horse and rider. She is smart, passionate and has a sincere interest in seeing her students accomplish their goals. 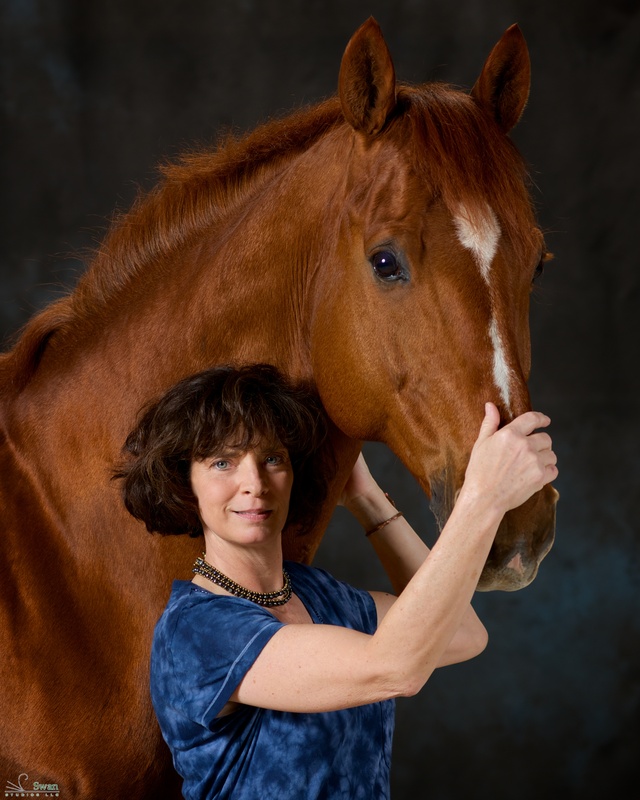 Jennifer is the only person in the U.S. who has gone through my Equilates training courses to be certified at the highest level in both the “Riding Track” and the “Pilates Track” of my program. Her depth of knowledge is unparalleled. 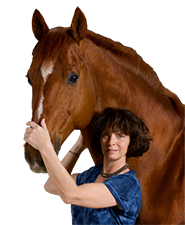 I have had Jennifer down to my Pratense Farm on numerous occasions to help my students with the body issues that are interfering with their riding. She has a keen ability to assess the origin of a rider’s problem, explain it clearly and give simple tools to help them achieve their goals. And she not only helps dressage riders. I have seen her work miracles with saddle seat and western riders too. I am fortunate to have spent the past five years working with Jennifer and she is an integral part of the success that I have had with my Mustang Stallion Padre'. Having a history of back and neck problems from a car accident, it had become difficult to exercise and ride without stiffness and tightness in my body. From the first time I worked with Jennifer in an Equilates clinic in 2007, I was immediately able to see and feel the difference it made in my riding. I have spent the years since doing a combination of Pilates, Equilates and Dressage training under Jennifer's guidance working on both my body issues and Padre's training. I am able to run with Padre' to compete him in hand, and no I longer have the extreme stiffness that held us back under saddle. Without Jennifer, none of our success would have been possible.